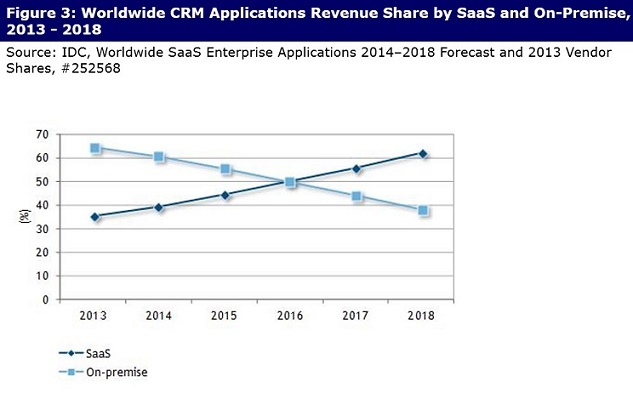 Without a doubt, Software-as-a-Service (SaaS) has taken the world by storm. So it comes as no surprise that more and more businesses, from startups to large enterprises, are jumping on the bandwagon and looking to build enterprise SaaS solutions. The only trouble is that getting on the bandwagon isn’t enough. Just because you’re doing what everyone else is doing, you aren’t guaranteed success – it is a process. First comes the research phase. This is essential to laying the groundwork for the success of your project. At the heart of your SaaS solution lies the end user, so it goes without saying that you must identify the needs your product will meet or the problem it will solve for those who will actually be using the software. Even though your application may undergo several phases of improvement during the development process, a basic idea of why enterprises should use your application is important to have from the start. Will it speed up a process or offer a totally new solution? Why and how would users benefit from what you offer? Part of the answer to this last question has already been provided by the very nature of “as-a-service” software solutions. Perhaps one of the main advantages of this model is that enterprises of all sizes can get quick access to the applications they need without the hassle of lengthy in-house installations and upkeep, freeing them from the burden of maintaining a full IT staff. This is one of the reasons more and more enterprises are using cloud-based applications to meet their software needs. A recent report by the International Data Corporation (IDC) found that the number of on-premise applications has declined over the past few years while the number of Software-as-a-Service (SaaS) applications has increased. Regardless of whether you are a startup or an established software vendor, it is critical that you conduct a wide range of market research. Your may think that your idea is the next big thing, but will it actually be practical in the real world? In order to answer this question, you have to get in the heads of the people who may be your clients. Otherwise, your application most likely won’t take off. According to a recent report released by CB Insights, startups stated the number one reason their project failed was because there was no market need for their product. This highlights the importance of performing comprehensive customer and market research in order to guarantee success. If you already have an established client base and are looking to shift your application to an “as-a-service” model, it is worthwhile to get feedback from your current customers. Find out what features they feel are most useful. Which ones are rarely used? What is the ratio of desktop to mobile use? Getting answers to these questions will aid you in evaluating your application from the customer’s point of view and will ultimately make it easier to analyze two other critical areas: target audience and competition. Enterprise SaaS in and of itself implies certain feature considerations which are important to remember. Findings from the 2014 KPMG Cloud survey revealed that security, data privacy, and cost/price were the most important capabilities organizations are seeking in cloud solutions. Source: 2014 KPMG Cloud Survey, KPMG. Therefore, when building enterprise SaaS, it’s important to include the right features – i.e. the ones enterprises are looking for. Companies are more worried than ever about keeping their data safe. When evaluating your target audience, you should consider login procedures and permissions as ways to make your application as secure as possible and therefore more attractive to potential users. Closely linked to security, privacy is also a major concern for enterprises. Deciding how and where data will be stored and protected (i.e. on-premises, in the cloud, behind a firewall) will also greatly influence the design process. Modern enterprises require software that can be tailored to their needs to achieve certain goals. Therefore, it’s important to consider the customizability of your software to ensure it can be customized (e.g. via white labelling) and extended (e.g. via enabling industry-specific features). As today’s enterprises heavily rely on a selected number of systems and software, it is vital that your SaaS solution can be integrated and is compatible with the systems and software already in use. This will not only help your product offer, but will also be more attractive to prospective clients. Of course, evaluating your (potential) competition is also paramount. It would normally make no sense to develop a software solution that looks just like something already on the market. There is an exception, however; by developing a product that will be sold as an “as-a-service” solution, it is possible to successfully compete with existing products sold under the old “as-a-product” model. Researching your competition also helps you define your own product. Analyzing what features your competition does or does not offer can be very useful in deciding how to design your application. It also gives you a powerful argument when promoting the application to potential customers. Because enterprises and markets change at such a rapid pace, there is a great risk that your idea could become obsolete by the time it comes to market. The whole project could fall apart if it fails to effectively meet the use case you have defined. That’s why it is important to take the ideas you have on paper and bring them to life quickly. The first step is to rapidly build an interactive prototype. While this is not a full-fledged model of your product, a prototype is the first step in reaching your goal. It will help organize your ideas in a visual way and can be used to test the viability of individual features. A prototype is also the first measure of user experience, something that cannot be judged from wire-frames and sketches. Finally, it can be used as a powerful marketing tool to attract early investors who want to see what your application looks like in real life before committing to your project. Building a minimum viable product (MVP) is an approach that has typically been employed by startups, but is now proving increasingly successful for development by tech companies of all sizes. An MVP contains the bare minimum set of essential features and functions required to be deployed and released to a group of early adopters – customers who will use the product and provide honest and valuable feedback. Release a working version of your application or platform to initial users sooner. Gain valuable feedback to help shape its features and functionalities. Minimize risk by identifying if your idea solves a problem. Raise funding by presenting a working version of your idea to investors. It is essential to take the right approach when building your application. This means embracing the development method that provides the best chance for success. All the planning and brainstorming in the world won’t help if you aren’t able to develop quickly and successfully. When it comes to building software, there are two main methodologies to choose from – traditional (waterfall) and agile. A linear development process originating from construction and manufacturing sectors. Testing is conducted separately and usually at the end of the project. A flexible approach based on mini-projects (sprints) that comprise the main project, with the aim of releasing working features progressively. It incorporates testing and quality assurance at every stage of the project. There is an ongoing debate among software-development companies as to which methodology has the best project-success rate. As a result, there have been a number of studies conducted to find out the answer to that very question. According to a survey by Ambysoft in 2013, the agile methodologies have a 64% project-success rate compared to 49% from the traditional (waterfall) method. 1. The agile development method is based on the premise of building incrementally (iteratively), meaning the process is divided into small stages and is subject to constant review and refinement. Work on the project is organized into sprints (usually every two to four weeks) which results in individual features being released regularly and allows for product enhancement at every stage of the development process. 2. The flexible nature and integrated testing inherent in agile projects contribute to their lower fail rate. Bugs and other performance flaws in individual features can be detected and fixed sooner. Constant review means there are fewer surprises and obstacles that arise, and can be dealt with when they are small. 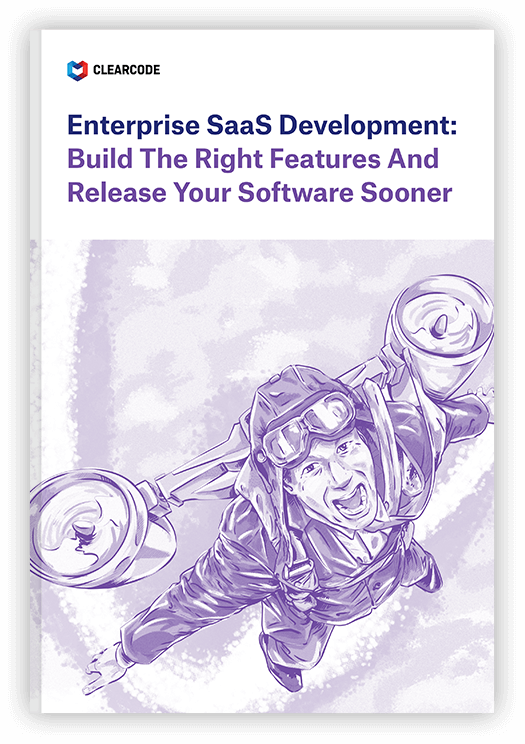 Ensuring that you have the correct software-development process in place is perhaps the most important step to building a successful SaaS solution. It is essential to sync your marketing campaign with the development process, as this will help take your application to its initial target audience quickly with a strong message. As your application undergoes further iterations based on customer feedback, your marketing efforts can be focused on promoting new features as they are released with highly targeted campaigns. Because this process occurs in small increments, it won’t require a long, drawn-out marketing campaign, but it will need to be coordinated with your development team. Also, if you are transitioning from an “on-premises” to “as-a-service” model of delivery, you will want to consider the transition period for your current clients. How will your new product integrate with their current solution and how will you make this transition as smooth as possible for them? Armed with an MVP, you can push forward to take your product to market and test its viability among your narrowly defined target audience. Early adopters of your application give you valuable information about how they actually use it in real-life, which allows you to test the assumptions you made in the pre-development stage. You also learn whether the product effectively addressed some or all of the users’ pains. This will help you refine the road-map for features to be added and/or changed in the future, and will help you sync with your plan for price structuring. After demonstrating how your application can make your client’s life easier, you can move on to show them the financial advantages of using a cloud-based software platform. No doubt the main advantage, especially for small- to medium-sized businesses, is that capital expenses are translated into operating costs. Instead of purchasing a piece of software that costs an astronomical sum, enterprises get a complete package of software, plus service, maintenance, and upgrades for a monthly fee. This helps them better regulate their budget while at the same time providing you with a steady cash flow. Once you have a number of users onboard with your MVP, you can use their positive feedback to appeal to other potential clients. With time, you gradually increase the “stickiness” of your customers by adding more and more options to your portfolio and building on the initial success of your MVP. Enterprise SaaS is not just a product, it is a package. Your goal in marketing an “as-a-service” software solution is to build a relationship with your client and capitalize on the monetary value of that relationship over the long term. One of the great advantages of building an MVP and adopting an iterative, agile approach to development is that you involve actual users in the process, creating the basis for your future vendor-client relationship. With this in mind, it is important to understand that you must keep in communication with your customers. This means constantly collecting, analyzing, and responding to feedback through a system that is closely integrated with the platform itself. Automatic error reporting, a built-in feedback box for user comments and suggestions, as well as a remote-tracking system to analyze user pathways and habits can all play a part in providing a well-rounded service experience. As mentioned at the outset, achieving success with Software-as-a-Service applications is not a foregone conclusion, despite the huge trend in this direction, but by following these steps, your chances are very high. Thinking of taking the plunge and developing your own cloud-based software solutions? Do you have an idea, but no resources to carry it out? Contact us to see how our full-service development team can help you!